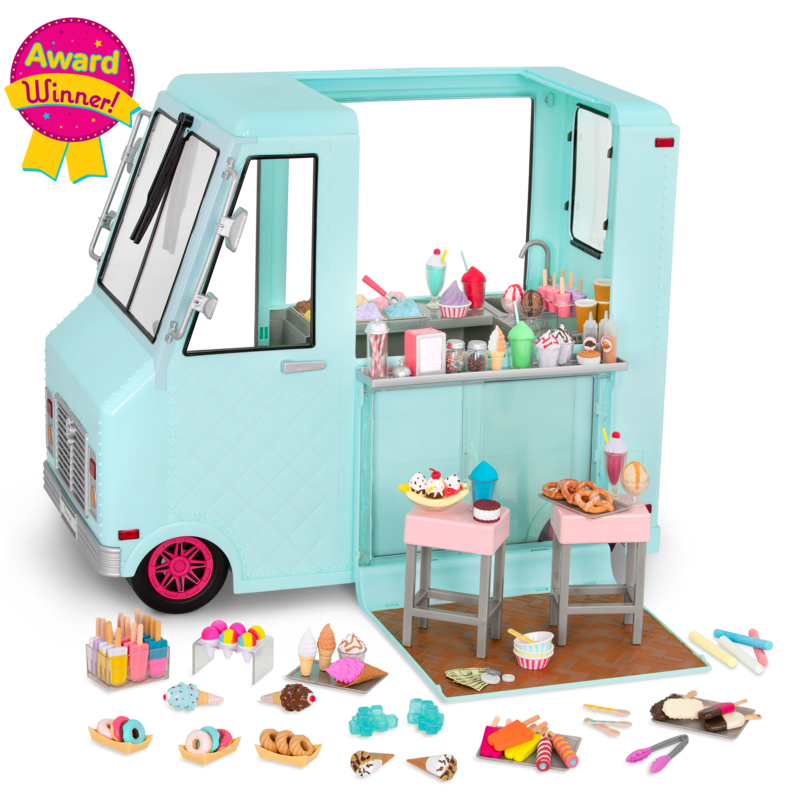 Have a fantabulous sleepover with this 18-inch doll! Here’s a set that’s a great fit for sleepy and silly friends. 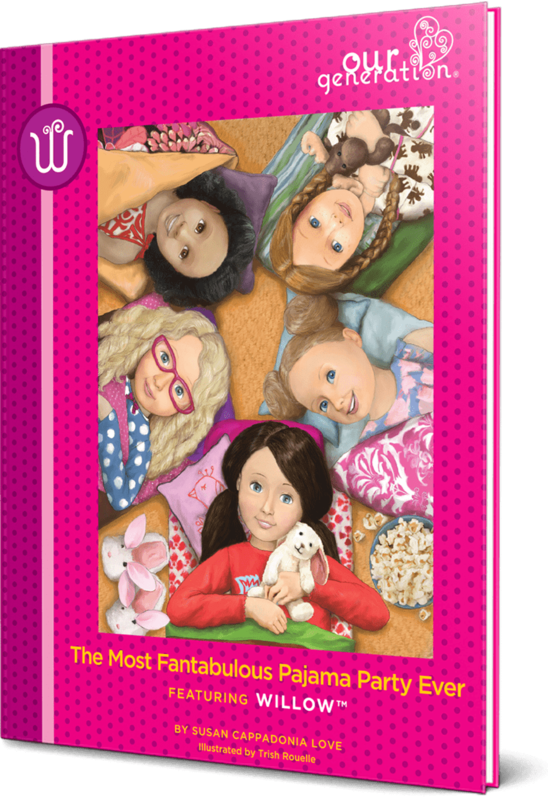 Get ready for the most fantabulous sleepover pajama party ever with Our Generation Deluxe Doll – Willow! Because we’re unlike any other generation. We’re super-fast runners and treasure hunters, magicians and mathematicians. But most of all, we’re dreamers. Sleepwalk through life? Not us. No way. This is our time. This is our story. This beautiful 18-inch doll has bright blue eyes and long, straight dark-brown hair styled in a side ponytail with a bow. Have fun brushing and styling Willow’s hair any way you like it best! 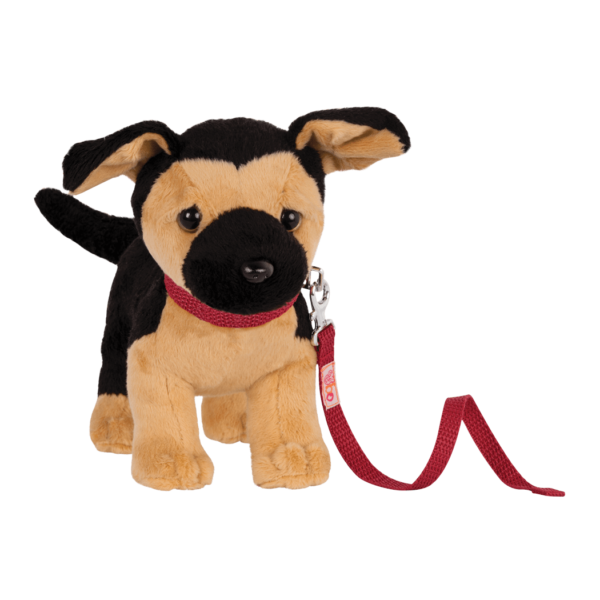 Deluxe dolls are posable and can bend at the knees and elbows as well as rotate at the neck, shoulders, and hips. 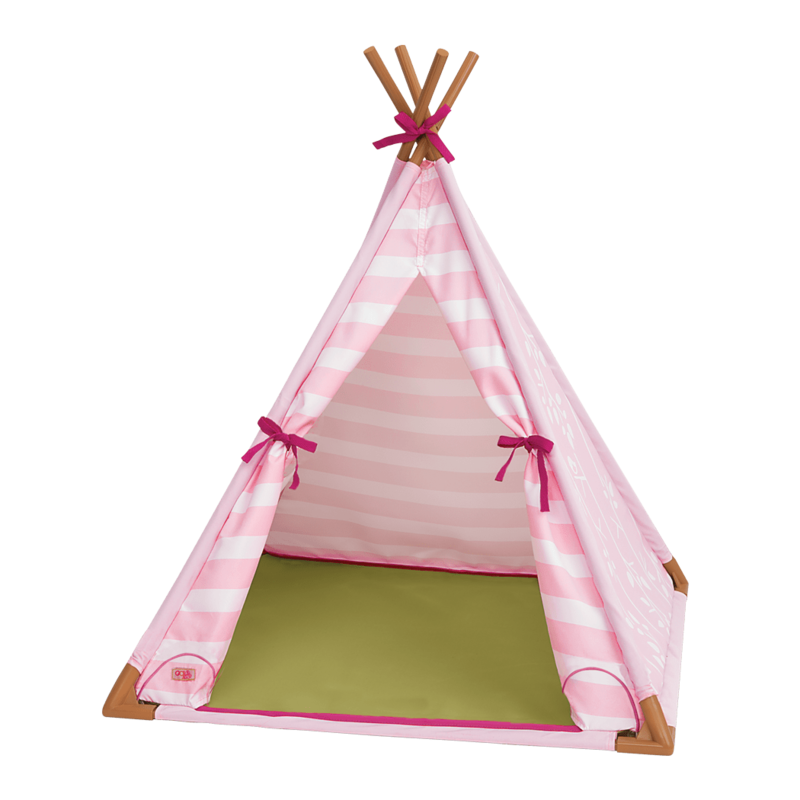 Willow comes with two complete outfits including a pajama set with bunny slippers and a lovely purple party dress. 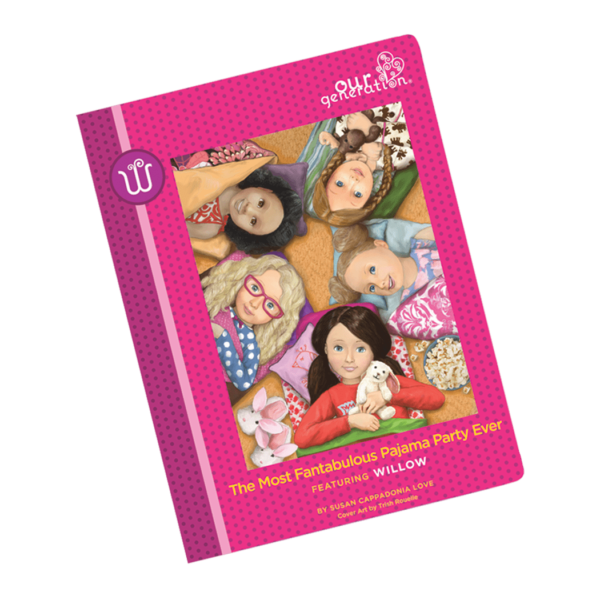 Read all about Willow’s struggle to plan the best birthday party in her class in her storybook “The Most Fantabulous Pajama Party Ever!” and create your own stories with this fantastic playset. The easy-to-read storybook has chapters so you can easily read it before bedtime. Willow LOVES sleepovers and parties! Why not throw a great slumber party for your dolls? Use the R.S.B. Me Party Planning Set to host a wonderful party, and the Polka Dot Sleepover Set for extra-special sleepover accessories! Looking for other great pajamas for your dolls to wear to their slumber party? Dress them in the Unicorn Wishes pajama outfit for extra magical dreams! Follow Willow's story in the chapter book! Willow arrives with her hair in a ponytail, but you can style her hair in a lot of different ways! When you first undo Willow's ponytail, her hair might be a little kinked from staying in one style for so long as she made her journey to you. Next, use the wire brush and very gently but firmly brush Willow's hair, starting at the ends and working your way up. Let her hair air-dry, and repeat this process until her hair is as straight as you like it! I appreciate your brand’s willingness to make your E books available to anyone that wants to read them. 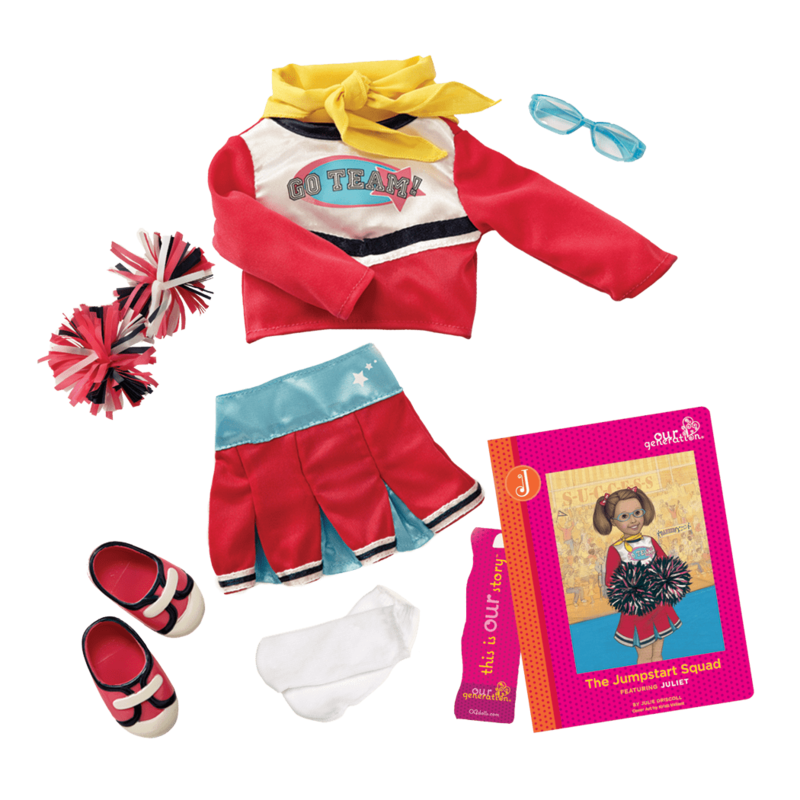 If you click on the tab that says “book” you will see that you can read any of the 26 our generation deluxe doll’s books. I am disappointed that the ages of the girl’s in your books are eight to nine years old. I would love if your brand was not only focused on early childhood marketing. Other than that, your books are splendid, and your company appeals to children/ tweens and teens from all different backgrounds and encome levels. I haven’t actually purchased this doll yet, but from looking at the images I would say this doll would be a great companion for travel! The straight hair is great because doll hair tends to need a lot of brushing, so her hair can just be brushed quickly instead of sitting in your hotel all day! The pajamas are perfect for when its time for bed after a very eventful day of play! The dress is great for when you eat out or watch a movie. I traveled with my two our generation dolls, April and Coral, and it was a blast! Cute doll our generation! I got her from Target and when I took her Out I named her Ava! She has a happy home with a brand new stroller! I think she is so pretty! I just don’t know what to name such a cute doll!